Since I already had that base covered in my future wife, I wanted to make sure my ring was pretty special too. But, more importantly, I wanted it to be special because of what it truly represents. It represents an oath I made before God and the new life I was given. It represents the gift I was given in my bride. 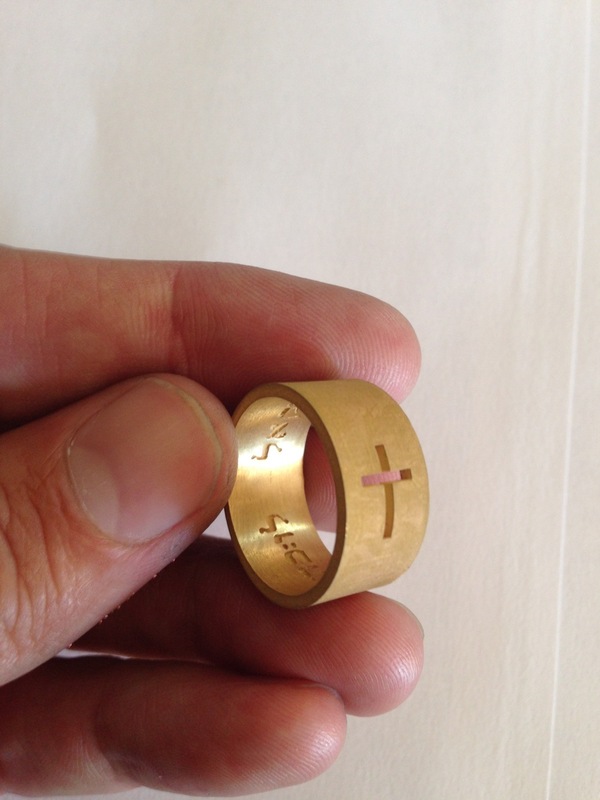 It represents Christ's marriage to His Church. 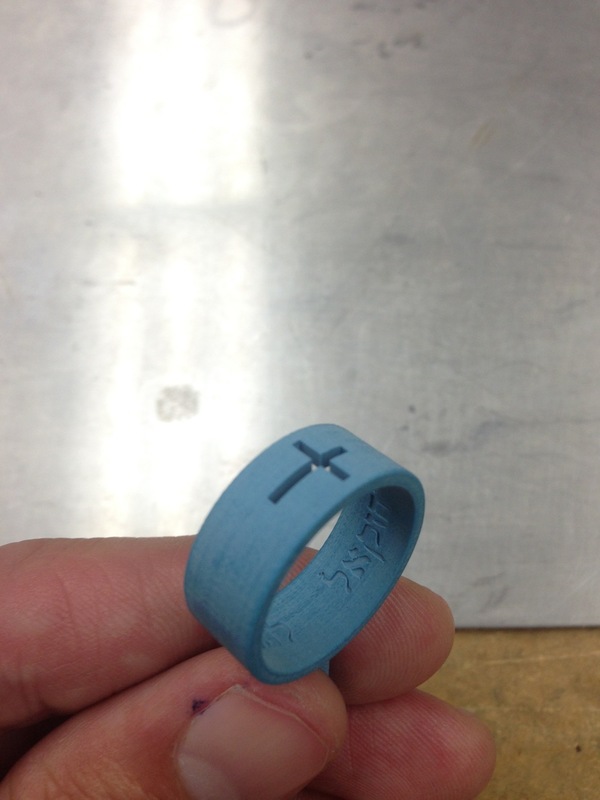 And it represents my marriage to Christ... So this ring had to be more than special. It was cast from 18k gold and pure sterling silver. The cross was laser cut all the way through the band representing how His sacrifice on The Cross changed me to the very core. 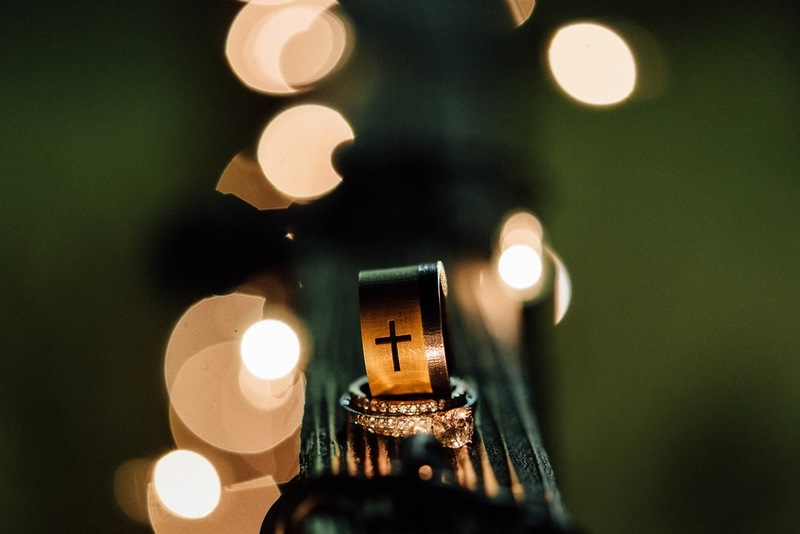 The exterior of the gold band was left raw while the interior was polished, representing my desire for Him to purify me from the inside out while I strive to live a life that is raw and real, allowing everyone to see my flaws and need for Him. Over time, the exterior would be scratched, rubbed, and worn, yet somehow becoming polished and more beautiful with every little knick. This is life with Chirst. With every painful circumstantial "scratch," He allows us to be beautifully refined through our strength in Him. In the moment it may hurt, but over time it makes us shine all the brighter. Inside the gold band I had the scripture Ezekiel 36:25-27 inscribed in the original Hebrew language, as a reminder of the promise He made to me and the oath I made to Him... "I will sprinkle clean water on you, and you shall be clean from all your uncleannesses, and from all your idols I will cleanse you. And I will give you a new heart, and a new spirit I will put within you. And I will remove the heart of stone from your flesh and give you a heart of flesh. And I will put my Spirit within you, and cause you to walk in my statutes and be careful to obey my rules" - Ezekiel 36:25-27 (ESV). 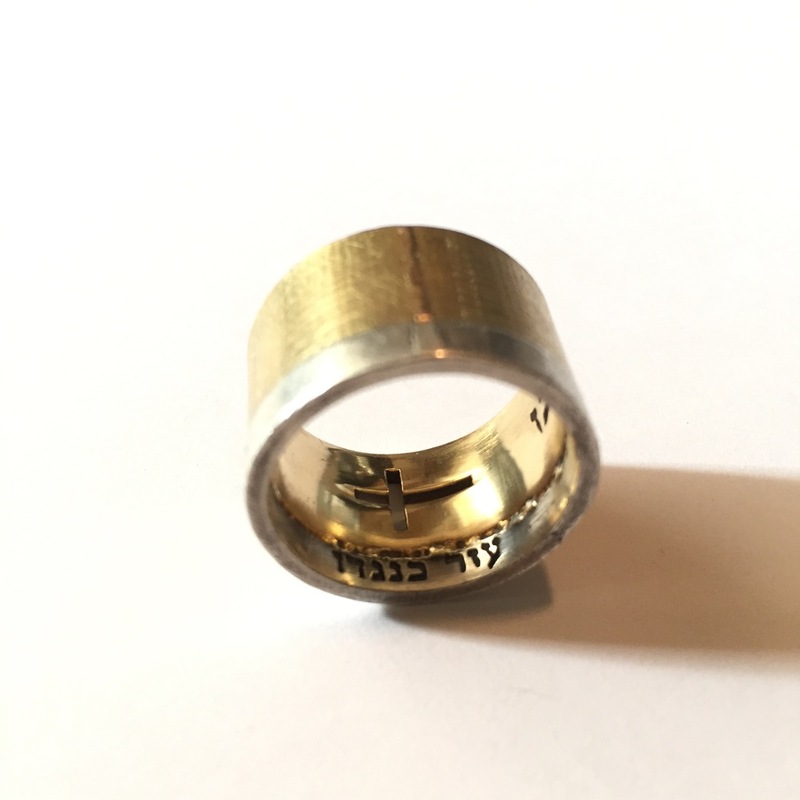 The silver band was constructed separately and is inscribed in Hebrew with the term "ezer kenegdo," which is best translated as "helper." Twice used in the Bible, ezer kenegdo referenced both Eve in the Garden of Eden as well as the Holy Spirit after Jesus' Ascension, telling us this is not a submissive term, but rather a term of empowerment and strength. I'm sure you can guess who the silver band represents... My bride, Brittany. Interiorly welded to represent our lives now being joined together as one, but leaving the weld exposed because we never want anything in our lives left hidden. Finally, the silver was rhodium-plated leaving it a brilliant shiny black... Just because it looked awesome.